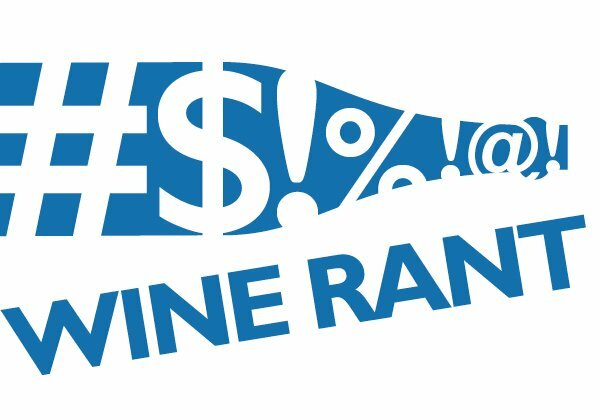 • The top 30 wineries on the 2017 Wine Business Monthly rankings represent more than 90 percent of domestic wine sold by volume. Which means that the other 9,000 U.S. wineries account for less than 10 percent. That’s the the chart on the left; click it to make it bigger. 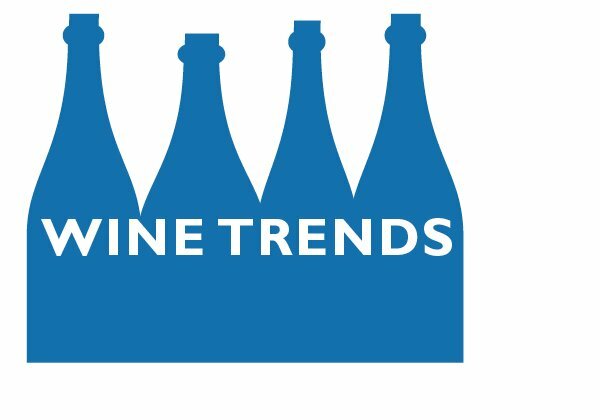 • The top three brands – E&J Gallo, The Wine Group, and Constellation Brands – account for more than half of the domestic wine sold. That’s consistent with what has been happening over the past several years. 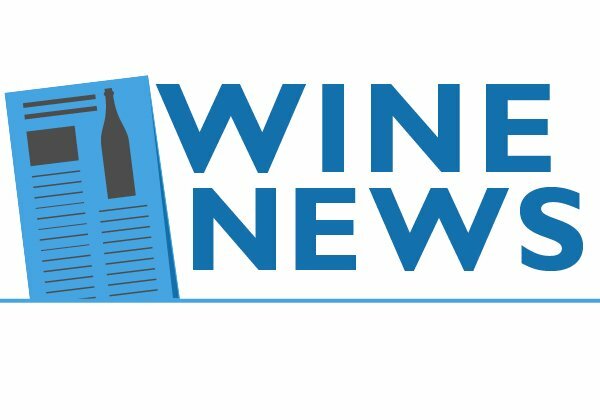 • From the same Nielsen numbers: One of every six “bottles” of wine sold in the U.S. in 2016 was either Barefoot, from Gallo, or Franzia, from The Wine Group. These numbers are staggering enough, but they’re not necessarily new. The 90 percent figure was Big Wine’s percentage in the first couple of Wine Business Monthly surveys in 2003 and 2004. What matters is that the number of U.S. wineries has more than doubled in that time, and Big Wine’s share hasn’t gotten any smaller. How is that possible? First, the growth in wine sales in grocery stores and chain retailers like Total Wine, which look to Big Wine to fill all that shelf space. Second, consolidation among producers. 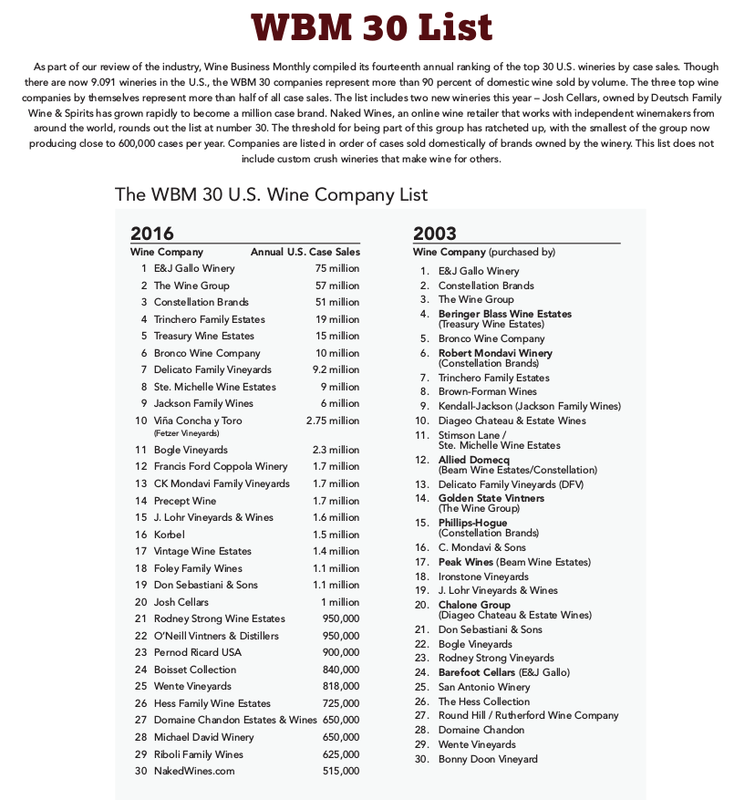 More than half of the wineries in the original Wine Business Monthly list are either part of another company or they sold most of their wine assets to someone else. Is all of this good or bad for wine drinkers? My friends on the West Coast, who can get almost any wine they want because they live in California, say it doesn’t matter. That’s because they aren’t strangled by the three-tier system the way those of us in the rest of the country are. For us, big chains and supermarkets are a fact of life, and we’re stuck with what they sell us. In Dallas, the ninth biggest city in the country, there’s only one quality independent retailer left. A friend of mine, a sophisticated wine drinker, buys his wine at the grocery store. It’s just easier, he says, and that makes up for what he knows is a selection that defines mediocrity. The other thing to ponder: How does Big Wine mesh with premiumization, in which consumers are buying more expensive wine? The two seem contradictory. Can premiumization continue if Big Wine is making all the wine that we’re paying a premium for? I believe J. Lohr Vineyards and Winery fits your “top 20 Independent winery” criteria, as well as Bogle. Still family owned and operated by Jerry Lohr and now his three children. As a disclaimer, I work for the company. The independents reference is from the Nielsen data, where almost all the top 20 best-selling labels all belong to one or another of the Big Wine companies. It doesn’t refer to the WBM list. I believe that you hit the real nail on the head; and that is the utter disconnect between the wine consumer and the majority of producers. Having recently returned from touring 31 states and checking the wine scene in all of them, this is constantly underscored to me as the real issue. Small producers are constantly self assured that their product is the greatest and that the consumer will seek them out. Wrong. This philosophy depends on the consumer to alter their lifestyle just to be a customer of the winery which is simply not gonna happen. The small producers must alter their plan to account for the apathy of the wine consumer. That’s a very astute observation, Jay, and something I’ve been writing about for years. The system is set up so that it can be successful even with apathetic consumers, so no one wants to shake them out of their lethargy. 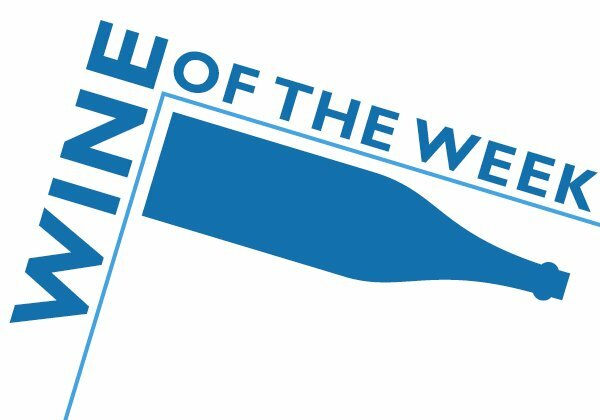 While browsing the wine department at a grocery store or big retailer like Total Wine, what is the best way to know if a particular wine label is independent or if it is produced by Big Wine? 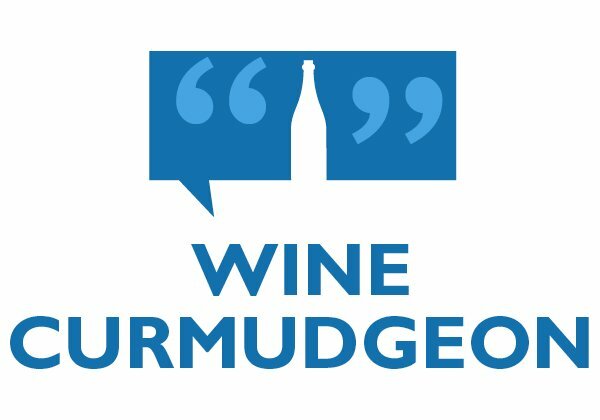 I did a post a couple of years ago, which lists some of the brands and how to tell — https://www.winecurmudgeon.com/big-wine-companies-and-wine-quality-part-ii/ . Otherwise, it’s not easy, because Big Wine doesn’t want it to be easy.